Guys let’s just talk about it: being single during the holidays is a big ol’ emotional three-decker sauerkraut and toadstool sandwich with arsenic sauce. Nothing says “yup, I’m gonna die alone!” quite like Christmastime, when it seems the whole world (with the exception of your corner of it) is filled with love and warmth, with photo-ops of twinkle-lighted togetherness adorning the Christmas cards of your loved ones, while your hopes for holiday happiness add up to mistletoe missed connections at best. 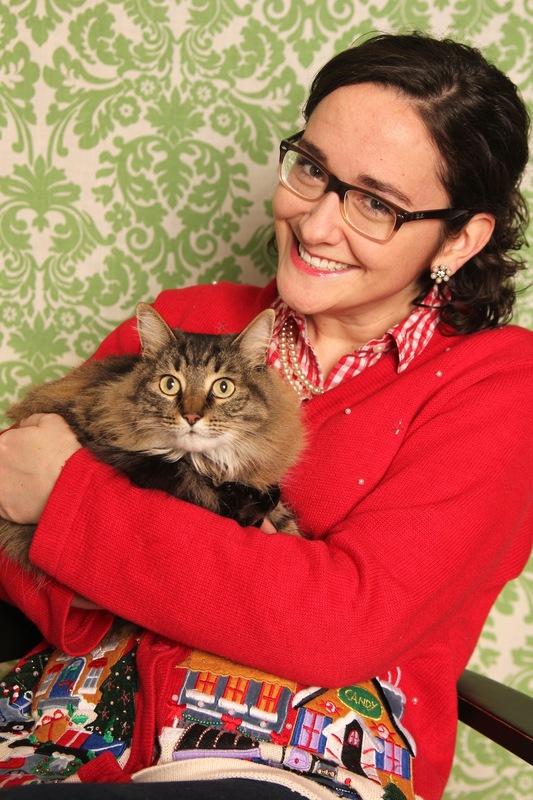 I fully embraced my situation this year and scheduled a photo sesh with my live-in significant other of the past six years, Jenksie Cat. If you can’t join ’em, be dorky enough to entertain ’em, I always say. In truth, I’m content and a-okay most of the time. One of my married friends likes to remind me how The Grass is Always Greener, sharing particularly bothersome husband anecdotes to lift my spirits. And while it’s painfully obvious that I’m the only single adult in the family, and I get a little apprehensive showing up to festive gatherings sans plus-one, I am also aware that things could be worse. This afternoon, I indulged in one of my very favorite greener-grass activities: going to a movie by myself. 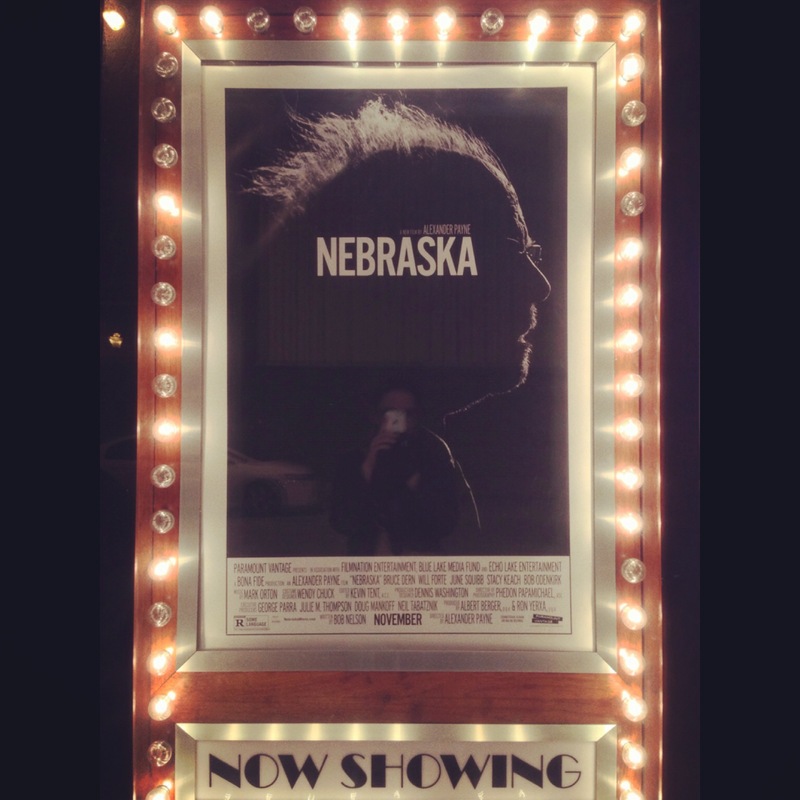 I went to see Nebraska at the Moxie, and though I was half the age of most of the audience, I had the time of my life. The whole experience was a delight and just-what-the-doctor-ordered for a case of holiday blues. A good trip to the movies makes my world feel expanded and also a little smaller. More complicated but also more manageable. A good movie makes me want to make things and tell stories and carve out moments in my life that feel so inspired and interconnected. It’s not such a bad feeling, not unlike being in love, cliché as it sounds. So when I got back in my car, and All I Want For Christmas Is You just happened to be on the radio, I had no trouble singing along at the top of my lungs, to no one in particular. Tonight I may be as home alone as Kevin McCallister, but I don’t really mind. Nothing says “Life is good.” quite like Christmastime.